TAO Asian Bistro and Nightclub presents an intimate dinner concert with Tony Bennett and celebrity friends at TAO Nightclub. This event is produced by Clint Holmes to benefit VegasTennis.com?s Marty Hennessy Jr. Tennis Foundation, a non-profit 501©3 Foundation. The foundation inspires at risk youth through mentoring, tennis and education. To date the foundation has helped groom 19 children in their leadership program to get college scholarships. Entertainment includes Rita Rudner, Clint Holmes, Mosaic (MTV band of the year), Ellie Smith (lead in Annie and Secret Garden) and former Sinatra pianist Vinnie Falcone with the Chairman of the Board himself, Tony Bennett. The event honorees include ?Tony Bennett Big Heart Award? winners Jeffrey and Rashae Taylor, ?Tony Bennett Media Excellence Award? winner Michael Flaherty (President and Founder of Walden Media and producer of Chronicles of Narnia), ?Mike Agassi ?NO QUIT? Award? winner Sandy White, and ?RUDY? Award winner Edgardo Ureta. The private concert, dinner and awards banquet will also be a celebration of Tony Bennett?s 83rd birthday. ?Tony Bennett is not only a tremendous entertainer but has used his talents to reach out and help so many people,? explained his close friend and foundation co-founder Marty Hennessy. ?He has helped take our foundation to a whole new level.? A portion of the proceeds will go to benefit USTA-Nevada youth tennis programs as well. ?We are grateful to the foundation for including USTA-Nevada programs as a beneficiary,? explained USTA-Nevada Executive Director Ryan Wolfington, who co-founded VegasTennis.com?s Marty Hennessy Jr. Tennis Foundation six years ago. Special celebrity guests confirmed to walk the red carpet include Tony Bennett, Rita Rudner, Clint Holmes, Mosaic, Dominic Allen, Ellie Smith, Latin heart throb Eduardo Verástegui (?Chasing Papi?, ?Bella? ), Former Miss America and actress Ali Landry, the real ?Rudy? from the blockbuster film and Award winning Film Director Alejandro Monteverde. Chairing the event for a third time is local philanthropist Winnie Schulman and the foundation?s new Executive Director Hilliary Heard. "We owe a lot to our Co-Chair Winnie Schulman, the event sponsors and guests who make what we do to inspire children possible," explained Heard. "I am lucky to be able to watch their investment grow as these children find happiness." Media sponsors include: VEGAS Magazine, Luxury Magazine of Las Vegas, The Sun, VegasTennis.com and Inside Tennis Magazine. Dinner committee includes: Tony & Susan Bennett, Rita Rudner , Mike Agassi, Marty Hennessy, Ryan Wolfington, Sig and Lori Rogich, Steve Braun, Ron and Jess Santella, Clint Holmes, Kelly Clinton, Vinnie Falcone, Jason Strauss, Regina Raphaelson, Sean & Anna Wolfington, Carol & Harry Wolfington, Diane and Gerry Wendel, Dr. & Mrs. William Heard , Roy Sklarin & John Yarborough, Mr. & Mrs. Rick Smith, Lily Chu, Dillon Berkabille, Tawni and Troy Werline, Tony Ghandour, Neil Tomlinson, , Kathleen Gustafson, Michelle Mikkelson, Dr. Jeff & Lisa Parker, Irene Frasier, Mike Bellon, Glen Alex, Elizabeth Conley, Patrick Kawka, John Pauli, and Sarah Lucas. ?Inspiring children through mentoring, Tennis and Education? To inspire children in need through Mentoring, Tennis and Education. To create the ultimate environment where children love to play tennis, are inspired to get great grades, are motivated by a positive social life and armed with life skills to help them be successful on and off the court. We strive to develop leaders of the world who are kind, hard working, competitive and close to conscience. Mentoring is the most significant part of our foundation. We have created an environment that boast healthy eating, mental strength, 3-5 hours of physical training and a positive social environment. These children are not only amazing athletes but their character is honest, patient and well-mannered. They have a no quit attitude, make no excuses and take responsibility for their actions. As mentors we talk with them daily about their personal circumstances and encourage their positive lifestyle. Our programs touch the lives of over 500 children a year. Our ?Elite Leadership Program? maintains 25-40 players that maintain a 3.5 grade point average. Our Leadership program has a 90% success rate in getting children off the streets, into the class room, onto the tennis court, and into college scholarships. www.LasVegasTennis.com is the foundations official web site. USTA-Nevada is a district within the USTA-Intermountain Section. The USTA Intermountain Section is one of 17 sections of the United States Tennis Association. USTA-Nevada is a not-for-profit organization committed to growing the game of tennis by offering quality recreational and competitive programs for people of all ages and abilities. Tennis is an integral part of life in Nevada and our players flock to the courts amidst some of the most breathtakingly beautiful backdrops in the country. Whether playing for fun, fitness, friendship or all three, players in Nevada love the game! 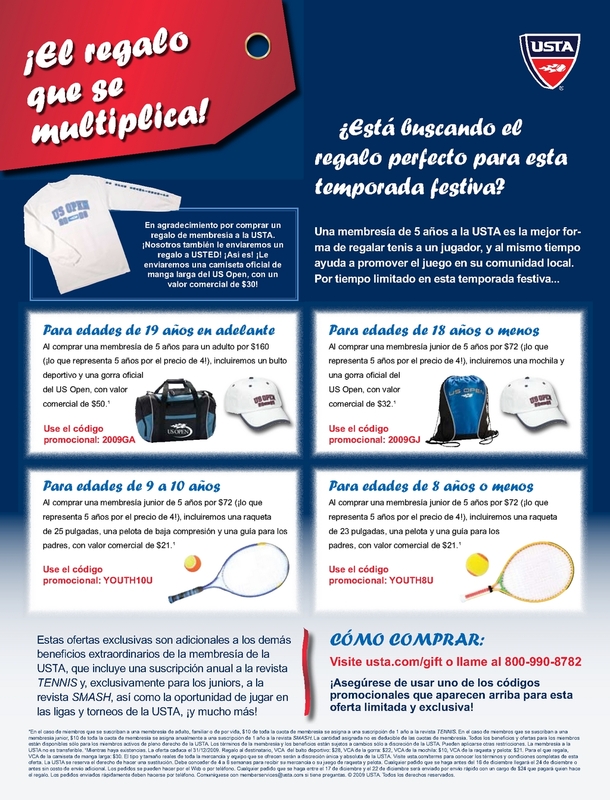 www.USTANevada.com is their official web site. For more information contact UST A-Nevada Executive Director Ryan Wolfington at 702-792-8384.